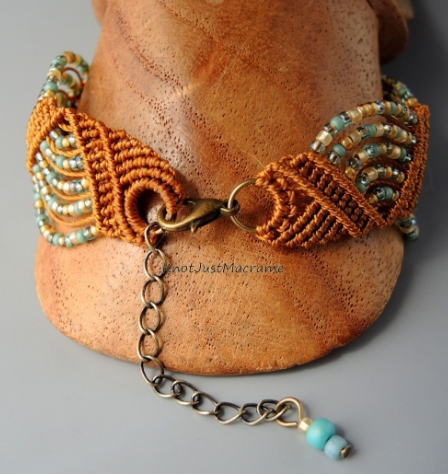 A new micro macrame class hit the streets yesterday, for my Drunkard's Path Bracelet! I've seen lots of variations of the waves done in macrame, but I wanted to put my own spin on things. 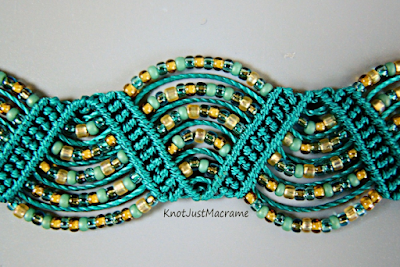 I added some extra knotting to beef up the knotted portion and give the macrame more equal billing with the beads. It's only fair. 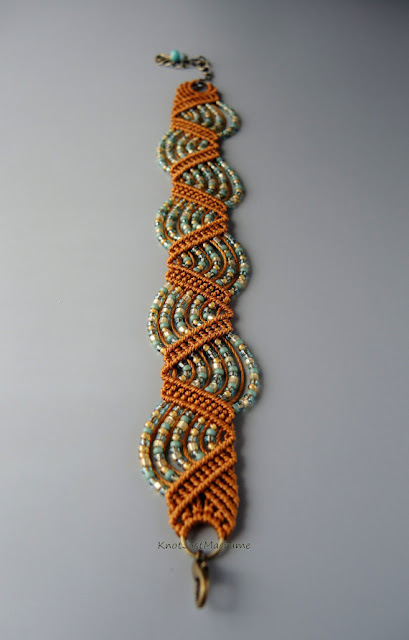 I was searching for a name for this project when about the swaying lines made me think of a crooked path. My mom is an avid quilter (you can see several examples of her work on my blog here, and here, and here, and quite a few more in an album here) and that brought to mind the Drunkard's Path pattern. It seemed to fit. I really tried to break this project down into tiny steps so anyone can do it. I demonstrate all the knots and there are loads of photos. There are actually 9 video clips and over 70 pictures in the class, in addition to the written direction and the narration! In this class, I'll show you how to get started and give you some tips to make everything go more smoothly. I'll show you how to tie all of the knots, step by step. And I'll show you how to finish your bracelet with a split ring and clasp to get a professional look! Don't forget, CraftArtEdu gives you unlimited access to the classes you purchase; you can view them as many times as you like and your access never expires. The class is on sale through Sunday (August 9, 2015). In fact, because the folks at CraftArtEdu love a good sale, all of my micro macrame classes are on sale through Sunday! No codes needed and you can see the whole list here. 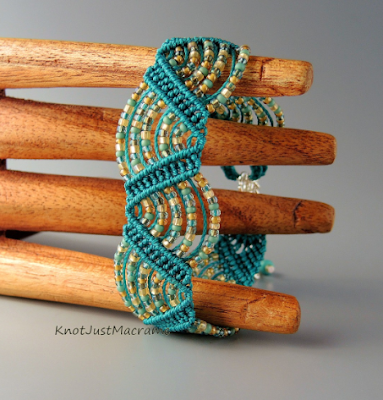 Happy knotting!!! Oh, and if you're just not interested in making one yourself, but you really, really think you need one? These are available in my Etsy shop. 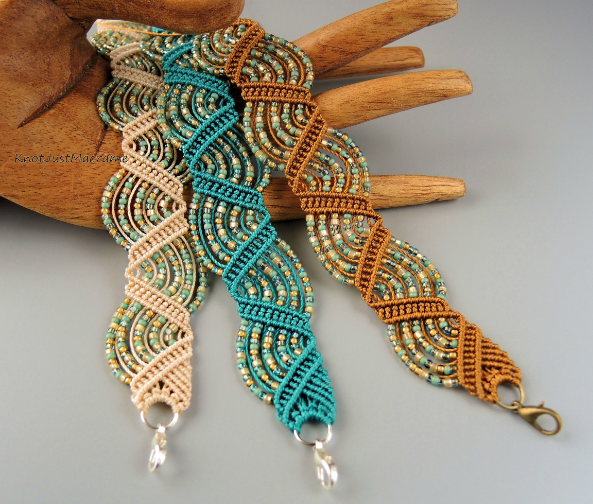 Sherri, these bracelets are so beautiful and how interesting the difference in the color combinations. I have your class and am looking forward to getting started. Your mother is am amazing seamstress, I can see where you inherited your talents. You never cease to amaze me with your talents. I love the name for this one, made me think of Drunken Master with Jackie Chan. If you like kung fu movies that one is pretty good (and funny). 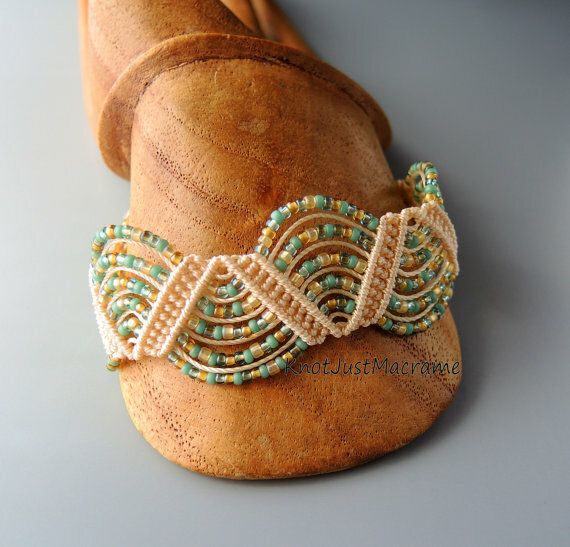 Anyway I love the bracelet too, very pretty! !